The Orator is one of the main characters in the procession and the only player who speaks to the people, like a messenger. Each Orator speaks on behalf of one of the Seven Grandfather teachings through a commissioned spoken word poem inspired by it. These poems are delivered by megaphone at key moments during the procession as it flows down University Avenue. Each “word warrior” is paired with Deaf/HOH youth who sign each of the poems in ASL. The Orator’s costume is uniquely designed for the individual who plays each role and encapsulates both the spirit of the teaching but also the personality of the poet. Destiny Henry from Jane-Finch plays the Orator for Love. 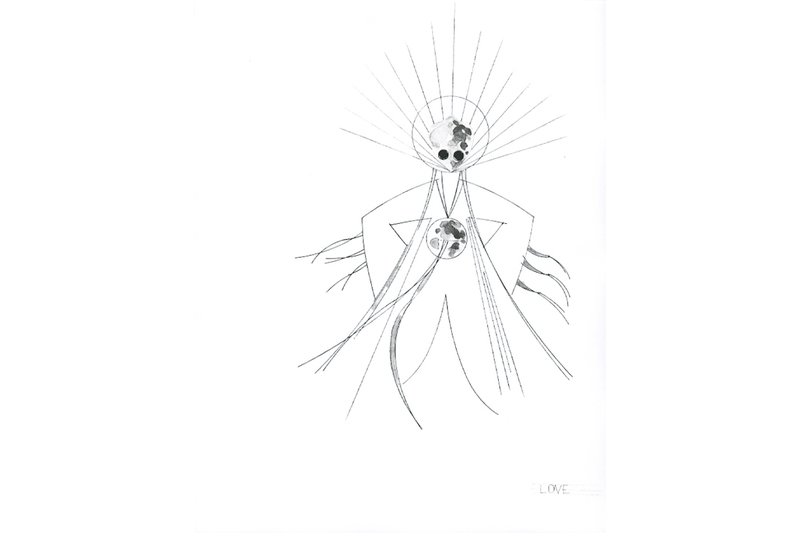 Here are a selection of Marlon Griffith’s initial sketches, artistic renderings, technical drawings, and images of the design process and creation of the costume for Love’s Orator. Destiny wears all white, with her top flowing down past her knees and tied in place with a steam-bend piece of wood with a floral pattern carved in it. 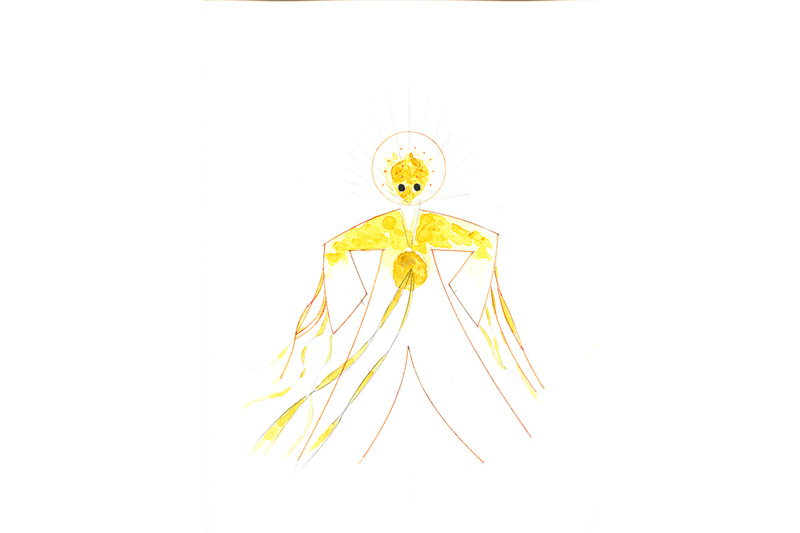 Her mask is an elaborate cutout version of the seed, vein-like as if alive with potential and poised to give and to receive the world’s energy in reciprocal relation.